Brett Caroline Levner (Co-Writer, Director) received her BFA in Film and Television Production from New York University’s Tisch School of the Arts. While at NYU, Brett was awarded the Warner Bros. Pictures Film Production Award, the Russel Hexter Filmmaker Award and the William Thomas Gidro-Frank Film Production Award. After graduating with honors from NYU, Brett got her start at MTV where she worked her way up from intern to producer while crafting episodes of popular shows like True Life, Diary, My Super Sweet Sixteen and Made. While at MTV, she wrote, directed and produced the TV special, “MTV’s Break the Addiction: An Inconvenient Truth,” which won a coveted Environmental Media Award. Brett attended Columbia University’s heralded graduate film program where she honed her filmmaking craft writing and directing numerous award-winning short films. She became the first woman to win the Coca Cola Refreshing Filmmaker Award in 2004, with her film Being Reel. The film went on to be screened on 21,000 movie screens across the country and was honored at the 2005 Association of Independent Commercial Producers show for “Excellence in Filmmaking.” It is currently included in the permanent collection at the Museum of Modern Art. After graduating with honors from Columbia with an MFA in Directing, Brett directed an independent feature film entitled Crystal River starring Sean Patrick Flannery, and directed the music video for O.A.R.’s hit song Lay Down, which took home the MTVu Woodie Award for Most Streamed Video. In addition, she received the Comedy Central Award for Best Comedy Screenplay for her feature-length script, “Snow Whites of Suburbia” and has produced and camera operated on several hit shows including The First 48, Bridezillas, The Shift, Flip This House and Sister Wives. Brett is currently an Assistant Professor of Film at the University of Nevada, Las Vegas where she shares her passion for filmmaking with her students. Matthew McQ (Co-Writer/Producer) is a life-long movie lover who has been working in film for over a decade. Earning his B.A. in Film and Creative Writing, Matthew was then a Fulbright and Bavarian State Government Scholar to Munich, Germany where he conducted research in German expressionist prose and cinema. After returning to the U.S., Matthew earned an MFA from Columbia University's graduate film program where he began his collaborative relationship with Brett Caroline Levner -- co-writing and producing the music video "Lay Down" and producing the short film "The Lucky One" both of which were co-written and directed by Brett. Since graduating, Matthew has worked in post-production and as a screenwriter. Matthew is a member of the Writers Guild of America who has written scripts for The Children's Television Workshop, The HUB Network, and Kraftbox Entertainment. Matthew has multiple screenplays in various stages of production, including his the low budget slasher film Shred and his and Brett's screenplays Teen Dad and Stealing Valentino. The Track marks Brett and Matthew's sixth collaboration as writers and their first collaboration in feature film production. Steve Sole (Producer) and the director partnered several years ago, winning the Coca-Cola Refreshing Filmmaker Award. Before entering film school, Steve worked in a variety of finance roles, primarily as a floor trader at The New York Mercantile Exchange. He used this experience as the basis for his graduate thesis film, The Floor, which played at festivals nationwide. Since then, Steve has worked for Bank of America in both Entertainment Finance as well as Nonprofit Public Finance. Additionally, he was part of the transition team at Colony Capital that purchased the Miramax library & assets from Disney. Steve enjoys photography, running and the occasional open-mic. He is in midst of writing a feature entitled Al-Qaeda Honeymoon. Steve earned his BA in International Studies from Emory University and his MFA in Film from Columbia University. Domenica Castro (Producer) was born and raised in Mexico City in 1988. In 1999, she moved to Las Vegas, Nevada with her family. Domenica received her B.A. in Film from the University of Las Vegas Nevada. She began her studies focused on acting and has ventured out into producing and directing. She is a former president of Cinefemmes, a UNLV student organization that supports women in film. Her latest producing projects include The Track, Splitsville, Nightwingh the Series, and a feature film which shoots in New York this Spring. 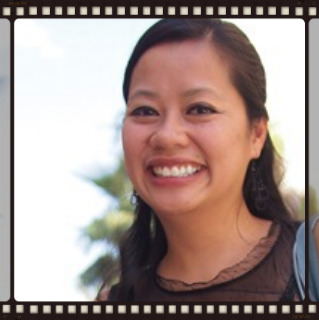 May May Luong (Producer) is a graduate of the University of Nevada, Las Vegas, earning a Bachelor of Fine Arts degree with a major in film and a minor in Theater. May May has produced numerous award-winning short films, including "Spanking Lessons" which won the CineVegas Short Film Jury Prize in 2006. May May has recently completed her third feature film, "The Popovich Pet Theater and the Voice of the Fabled American West," by writer-directors Jerry and Mike Thompson. Previously, she produced the feature film, "Little Monsters," by writer-director David Schmoeller and “Thor at the Bus Stop” also directed by Mike and Jerry Thompson. “Thor at the Bus Stop” received the Narrative Feature Special Jury Recognition for Independent Filmmaking at the Austin Film Festival. In addition to producing “The Track,” May May is currently working on the development of a number of feature film and television projects as a partner at Roadwings Entertainment. Clayton Moore (Cinematographer) has shot a wide range of projects for the screen. Getting his start in the commercial production world, he quickly learned the technical aspects of the trade from on the job training. Wanting to further his education and delve into the history, theory and language of cinematography, he then continued his education at UNLV where he will soon earn his BFA in Film. Clayton has shot a plethora of award winning short films, commercial, and music videos and approaches each project with the goal of collaborating with the cast and crew to bring the script to life by creating relevant, impactful imagery. Diana Eden (Costume Designer) is a three time Emmy nominee, who has designed costumes for numerous television series including The Facts of Life, Santa Barbara, A League of Their Own, Ned and Stacey, Family Law, The Tony Danza Show, For Your Love, Ladies man and Passions. She has also designed for films including Making Contact, Stealing Christmas and Stealing Las Vegas. Molly Bailey (Production Designer) received a BFA in Theatre Design from the University of South Florida in Tampa, FL and is currently pursuing an MFA in Production Design at the University of Las Vegas Nevada which is affiliated with the Nevada Conservatory Theatre. Molly believes that where the scripted text ends, scenic and prop elements continue telling the story.